On June 8th, 1986, Kurt Waldheim was elected President of Austria. The former Secretary General of the United Nations and Ambassador to France and Canada was initially seen as an obvious choice for the position, which is primarily a ceremonial role. However, shortly after he was elected, Waldheim was banned from entering the United States under suspicion of Nazi war crimes. Congress had passed the Holtzman Act, named after Congresswoman Elizabeth Holtzman, to legalize the expulsion and prevention of suspected Nazi criminals from the U.S. thirty years after the end of WWII. The resulting diplomatic strains between the U.S. and Austria encumbered relations for many years afterwards, as visa applicants who had traveled to the U.S. for years were abruptly denied, and Holocaust war crimes, initially shadowed by the Cold War, were suddenly brought to light. Herbert John Spiro, interviewed beginning in April 1994, served from 1945-65 as Chief of Counterintelligence at U.S. Headquarters in Vienna. 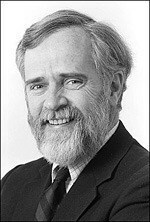 William Bodde Jr, interviewed in October 1998, reflects on his time as a staff aide in Vienna during this controversy. Both were interviewed by Charles Stuart Kennedy. Read more stories about World War II. SPIRO: My job was to track down members of the former German intelligence services in Austria. There were a lot of them around. Some Germans had stayed in Austria partly because they thought that the Occupation, which was not called Occupation, would be less rigorous and less de-Nazifying than it was in Germany. That was true…. That was the kind of fellow I was looking for. He went through my fingers. Many years later when I was a senior member of the Policy Planning Staff, we were asked whether the U.S. should support Waldheim for a second term as Secretary General of the United Nations. There was a Finnish diplomat named Jacobson who was Finnish and Jewish, who was another candidate running for Secretary General of the UN. And there was some fear that because of Finland’s position, he might be subject to Soviet pressures. On the Policy Planning Staff several of the other members and I, who was supposed to know something about Austria, we all had access to all the intelligence that anybody else did. 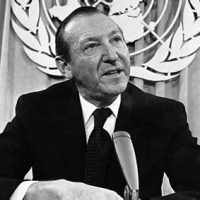 I said Kurt Waldheim was the perfect Viennese head waiter type, and what the UN needed more than anything else at that time was a Viennese head waiter type as Secretary General. If we had done a little more digging, both 1946 and 1972 or whenever it was, we might have found out about him. BODDE: Kurt Waldheim was President of Austria. It was a complicated situation because some years earlier the United States had supported Waldheim’s successful candidacy for United Nations Secretary General and now we were going to ban him as a war criminal from entry into the U.S.
Waldheim had been in the German army and lied about his military service. He had been stationed in Yugoslavia when atrocities were committed. The German occupation in the Balkans was particularly brutal. Well, there was never really any good evidence that tied Waldheim directly to atrocities. Did he know that some bad things were going on? Probably. He was a staff officer. He probably signed some papers that had to do with deportations and so on. When I was in Vienna, Waldheim was Political Director of the Foreign Ministry. The embassy dealt with him all the time. I didn’t deal with him because he was much above my level. But he was an important guy. Then we supported him to be Secretary General of the United Nations. In the meantime, Congress passed a law, the Holtzman Act, named after a Congresswoman who introduced it. The law was meant to keep out former Nazis, especially people who lied about their past in obtaining a visa and especially anybody who was connected with the concentration camps and other atrocities. All of a sudden, we had this case that involved the President of Austria. During his campaign to become President of Austria, the Social Democrat opposition made charges about his activities during the war. After he was elected President, groups in the U.S. began a campaign to put him on the list of people who were banned from entering the U.S. The World Jewish Congress was particularly active in pushing this, and Secretary [of State George] Shultz had absolutely no sympathy for Waldheim himself. In my view he was the kind of person — and there are many of his type in Austria — who goes along to get along. He did lie about his military service. There’s no doubt about that. On the other hand, I never saw any evidence, and I saw a lot of the files and so on, that would classify him as a war criminal. Under U.S. law the Justice Department makes the decision. There’s an office in the Justice Department, the Office of Special Investigations, which is dedicated to uncovering former Nazis. The office has uncovered former concentration camp guards and others who hid their Nazi past when applying for entry into the U.S. Waldheim was the biggest case that they had handled to date. The Austrians, of course, were beside themselves. After all, Waldheim was their democratically elected President whom the U.S. had supported for the UN Secretary General and now we were banning him as a war criminal. They were sure that this decision had more to with American domestic politics than it did with Waldheim. They were also convinced that the U.S. was picking on Austria because it was small. They argued that if Waldheim were President of Germany, the U.S. wouldn’t do such a thing because you need Germany. They claimed that prominent German politicians who were involved in worse things than Waldheim have gotten into the United States. This argument may have merit but it did not change the U.S. position. The decision to ban Waldheim was made by Attorney General [Edwin] Meese and Secretary Shultz went along with it. Thomas Klestil, Waldheim’s successor as President, was just completing his tour as Ambassador to the U.S. when the decision was made and he was crushed. When he was Austrian Consul General in Los Angeles, Klestil developed a close relationship with the so-called California mafia that [President Ronald] Reagan brought to Washington. 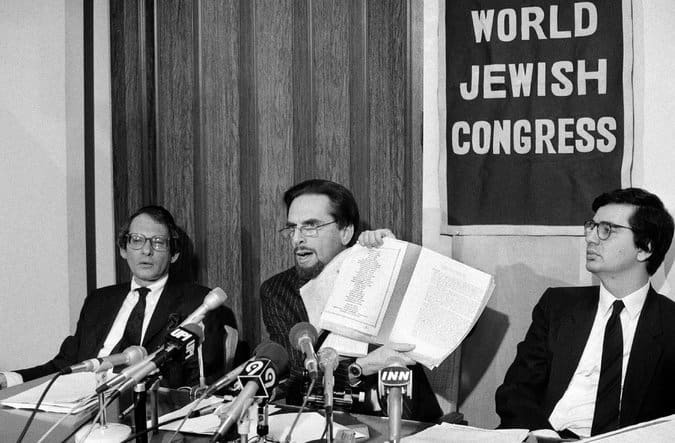 There had been a lot of political pressure on the Administration to ban Waldheim, especially from the World Jewish Congress and other people to do this. Klestil’s friendships didn’t do him much good. 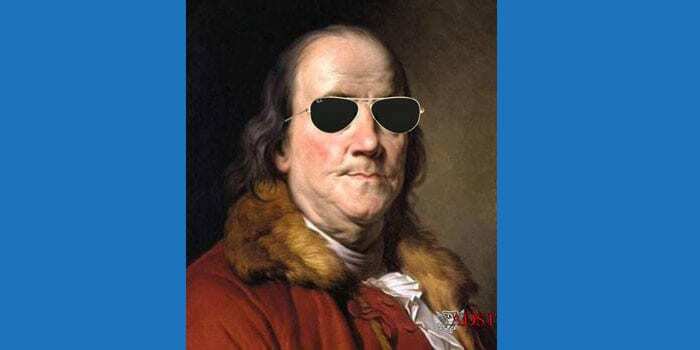 Before the decision, the Austrians would come to Washington and ask us not to do it. The World Jewish Congress also visited the Department to gain support for doing it. Our response to both sides was that this was a legal decision that would be made by the Justice Department based on U.S. law. Still, the Waldheim affair took up a lot of our time. Ron Lauder, a political appointee, was Ambassador to Austria at the time. He came back and he and I went to see the Secretary. Lauder was very close to the Jewish organizations in the U.S. and Austria but he was concerned about the damage a ban on Waldheim would do to U.S.-Austrian relations. I suspect that he was more concerned with the hostility that he would face in Vienna in the wake of a ban. He argued that the Austrian Prime Minister, a Social Democrat, was about to visit the U.S. and it would be a great embarrassment to him if we banned Waldheim. Shultz did not agree and got angry, so he threw us out of his office. Shultz said, “Get out! Get out!” and we went out. It is not a career-enhancing move, to get thrown out of the Secretary’s office and to have done so in association with the likes of Ron Lauder made it doubly unpleasant…. [Waldheim] was banned from the United States for his whole term of office, and because he wasn’t allowed into the United States, most other major countries did not invite him for official visits. Normally that’s what the Austrian President does. He is a figurehead and spends a great amount of time visiting other countries. The Pope received him, and that got people unhappy here. But…the Pope has his own foreign policy. I don’t think any other major country received him. [West German Chancellor Helmut] Kohl used to meet with him unofficially when Kohl was on his annual summer vacation in Austria. The Germans were unhappy with our decision. They thought he was treated badly by the U.S.
As a result of the ban Waldheim had a tainted presidency. Ironically, Thomas Klestil was elected President when Waldheim completed his term of office. On a personal note, when I served in Vienna, the Chancellor’s aide was a good friend of mine. Later he was Waldheim’s campaign manager, and he finally had to resign because he said in an interview that unless they found that Waldheim had personally strangled somebody, they did not have a case. Once I went to see him when I was in Austria for these COCOM [Coordinating Commission on Multilateral Export Controls] negotiations. It was sad, because he said, “Bill, you’ve turned my biggest success in my life to crap.” He said, “I got this man elected President, and you turned around and ruined him.” I didn’t apologize, because I didn’t think I had to apologize for what we did. That we were perfectly honest is another question. Would we have done this to the German Chancellor? No, at least not during the Cold War when important strategic interests were at stake…. A man named [Allan] Ryan headed the Office of Special Investigations (OSI) in the Justice Department that went after the Nazis. Like many ambitious people, he loved publicity. OSI would track down a former concentration camp guard who lied on his immigration forms. Many of them were Yugoslavs or Romanians and all of them were old. But whatever their units, they were bad guys. Many were displaced persons at the end of the war and ended up in Austria. When they emigrated to the United States they hid their Nazi past. However, there was a clause in the displaced persons legislation that stated if you lied on your application to come to the U.S., you could be deported back to the country from where you emigrated. So even if they were Romanians or Yugoslavs, if they emigrated to the U.S. from Austria they could be deported back to Austria. Of course, this made the Austrians very unhappy. They told us that they didn’t know about these people’s past and why should they be saddled with former Romanians or Yugoslavs. To make matters worse, the Justice Department would cut corners. They would pull in some 70- or 80-year-old man and tell him he had two choices: He could go on trial and face the likely possibility of spending the rest of his life in jail, or he could renounce his U.S. citizenship and be deported to Austria. Most often they would take the second choice. So far, the Justice Department was acting completely aboveboard. They would have the person renounce his or her U.S. citizenship. Then they would give the person a travel document that was just good until he got to Austria, and put the person on a direct flight to Austria. The ex-concentration guard would then show up on the Austrian’s doorstep. Then Ryan or someone from OSI would leak to The New York Times that they had nabbed another Nazi and deported him to Austria. The Austrians would be embarrassed, because it would look like the U.S. was sending another Nazi back to Austria. We were treating Austria shabbily and finally the State Department forced the Justice Department to negotiate a new arrangement. We sent out a delegation headed by the Department’s Deputy Legal Adviser to negotiate an arrangement that would include prior notification and so on. I remember one case, he’d been back and forth to the United States 25 times, and all of a sudden he didn’t qualify. On the other hand, some bad guys showed up. I remember one guy who had been in the Gestapo, and we had records that showed that he had been an interrogator at an American POW camp. There was testimony that he had roughed up some of the POWs. He came in and appealed. I was happy to see him turned him down and he will never get to see the shores of the United States again. But sure, it’s this kind of ex post facto thing that we got into. I find it interesting that the Holocaust has become much more prominent fifty years after the War than it was 20 years after the War, or even right after the War. 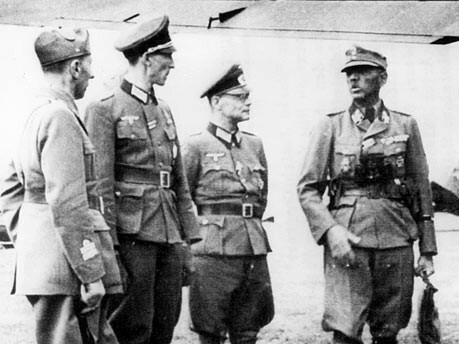 At the end of the War we issued visas to German scientists who were Nazis and to Nazi intelligence officers as well. We wanted the information and we did not want it to fall into the hands of the Soviets. You might remember that we took the high moral road right after the war and declared that anyone who had belonged to the Nazi Party could only work at menial jobs. We soon found that we couldn’t get Germany back on its feet without tapping the expertise of people who had been party members. So decisions were made then in the light of the necessities at the time and were perfectly legitimate, I think.